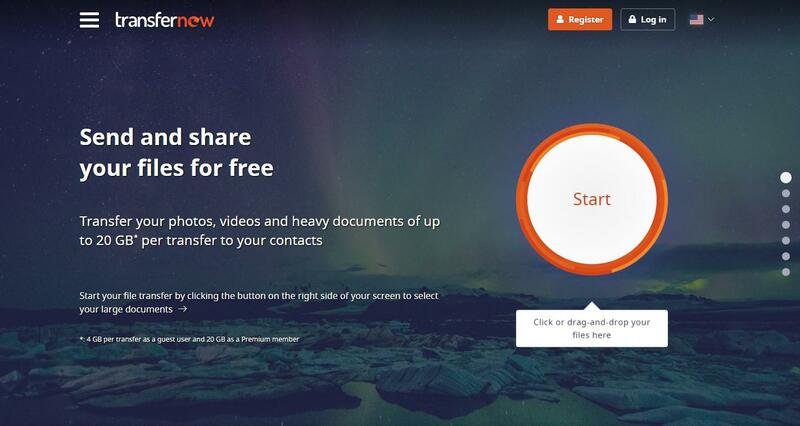 TransferNow is a secure platform to send and share your photos, your vacation videos, your favorite music, as well as your personal and professional documents. Take your files with you everywhere you go and share them easily with your friends, co-workers, and family so you can all have a quick access to the same information! 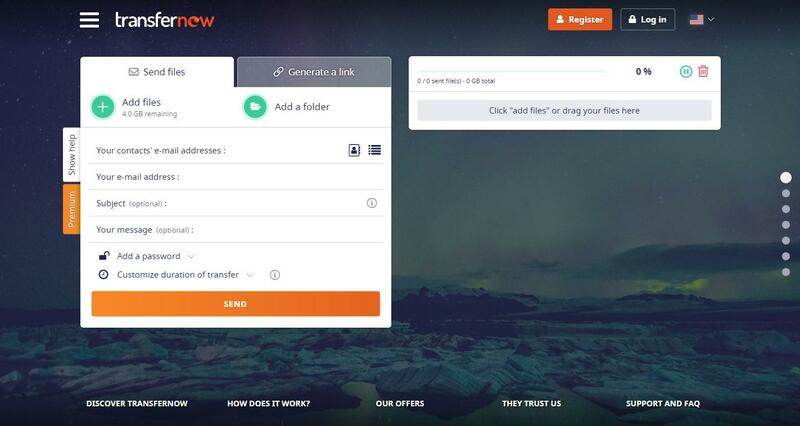 TransferNow is available on all your devices: laptop, tablet, and smartphone. Send and share large files quickly in just a few clicks, and get a download link that will be sent directly to your contacts, or easily get a custom link and share it however you'd like on forums and social media. 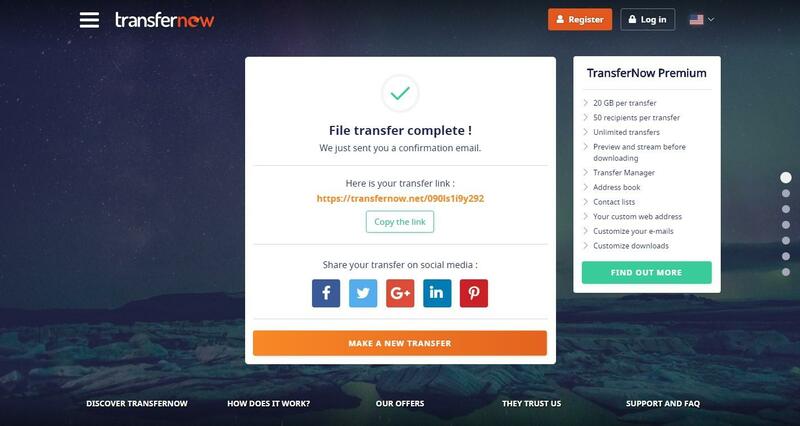 By subscribing to our TransferNow Premium offer you will enjoy extended transfer limits and additional features (20 GB per transfer, 50 recipients per transfer, a transfer manager, an address book, contact lists, customization and white-label by adding your logo and your wallpaper).